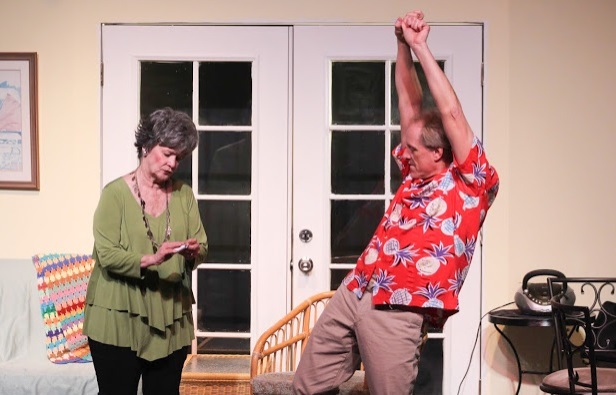 Currently performing until March 3 at the Scottsdale Desert Stages Theatre is the bittersweet comedy from Richard Alfieri, Six Dance Lessons in Six Weeks. It’s a two person, two-act, one set piece, and for the smaller and more intimate setting of DST’s Actor’s Cafe, it’s a perfect fit. The plot is in the title. It’s also the name of a fictional Florida dance company. 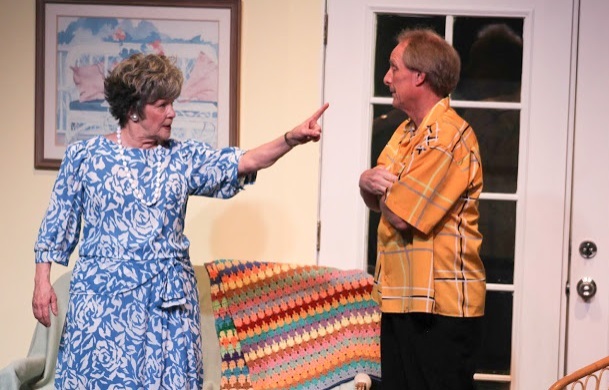 Barbara McBain plays Lily, a retiree in her early seventies who lives on the upper level of a condo-with-a-view in St. Petersburg Beach. Below her lives Ida, and though we never see Ida, her presence is often felt; she always seems to call at the wrong time. Lily, the wife of a Baptist minister, now lives alone, though she doesn’t immediately reveal her status when her dance instructor arrives. She’d prefer to give the impression that her husband was still alive. Roger Prenger plays Micheal, the dance instructor, hired to give private lessons in the comfort of a customer’s home. He’s single, gay, and in his early forties, plus he has a caustic tongue; he’s not above dropping the occasional f-bomb. When he first arrives at Lily’s place with a floor map of his dance steps along with a plug-in, portable stereo, he mistakenly describes the subject of lesson number one, the Swing, as a dance invented for horny G.I.s and loose women of World War 2. Neither his description nor his expletives go down well with Lily. She opens the door and wants him to leave. “We got off on the wrong foot, so to speak,” says Michael while pleading for a second chance. He also asks Lily not to call his boss. This is, after all, his first job with the dance company, and it really wouldn’t look good to be sent packing in the first few minutes of his initial assignment. From there, a certain rhythm to not only the dancing but to the individual scenes is established. There’s a formula. Like the events of the first lesson, each week, Michael arrives at Lily’s. They exchange differences where Michael’s direct points-of-view don’t always sit well with the woman who openly describes herself as “A tight-assed ol’ biddy.” Conversational conflict follows. Then a cooling. Then the nosy neighbor from down below, Ida, makes a complaining call about the noise on her ceiling. Then once Lily puts the receiver down, the music from the stereo and the dancing begins. Fade out. Each of the remaining five lessons, with one bonus lesson, follows a similar pattern. But by the conclusion of each week, we learn just a little more about each character. 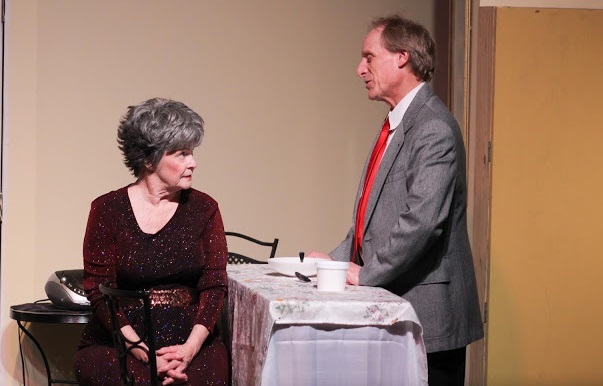 And as expected, by the end of the play, when everything we need to know about Lily and Michael is finally revealed, we get to understand why this mismatched, unlikely couple met and needed each other at exactly the right time. Surprisingly, in 2014 Alfieri adapted his play for the movies. Gina Rowlands played Lily, and because the movies tend to open things up a little, Rita Morena played nosy neighbor Ida. But the film bombed, exposing the limitations of a predictable plot while critics described the script as a creaky, listless affair suited only to an undemanding senior set. Six Dance Lesson in Six Weeks works considerably better on stage, as this DST production shows. But for anyone who has ever been in the audience during a recording of a TV sit-com you may experience a similar feeling here. With a bright colored living room design and lighting to match, all that’s missing from a TV set are those pesky cameramen getting in the way. Even Alfieri’s writing uses a TV dialog formula to get laughs. When Lily is on the phone with her complaining neighbor, we can’t hear what Ida is saying, but we don’t have to. Like any television comedy, Lily unnaturally repeats verbatim what Ida has just said. “No, I don’t sound like the dancing elephants in Fantasia,” or “No, the Budweiser Clydesdales are not putting on a performance in my living room.” The sheen of TV influenced comedy is definitely showing. But while the play hardly pushes the envelope on creative theatre anymore, it does have two things in its favor. Both McBain and Prenger are experienced performers. They work well together and help elevate writer Alfieri’s somewhat ordinary and no longer compelling material. Because of their timing and delivery, the occasional sharp observations on aging and friendship, including an eventual touching nod to what it’s like to be alone, are nicely defined, even if the play no longer has the same weight it might have had when it first opened on Broadway in 2001. Director Joy Bingham Strimple has produced a smart production that uses the Actor’s Cafe stage well. 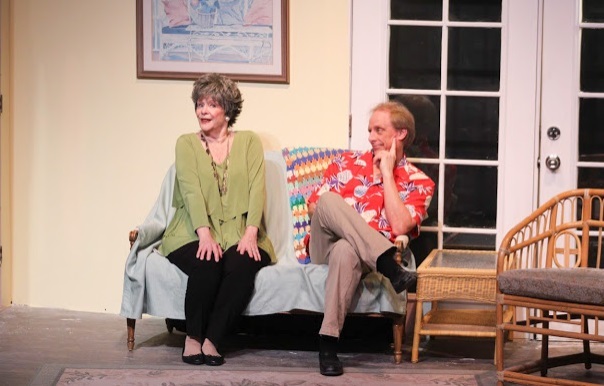 Because all the action takes place in one location and the area is shared by only two players, what can often appear cramped with limited chance for natural movement if four or more are on set at the same time, works to the play’s advantage at Actor’s Cafe. 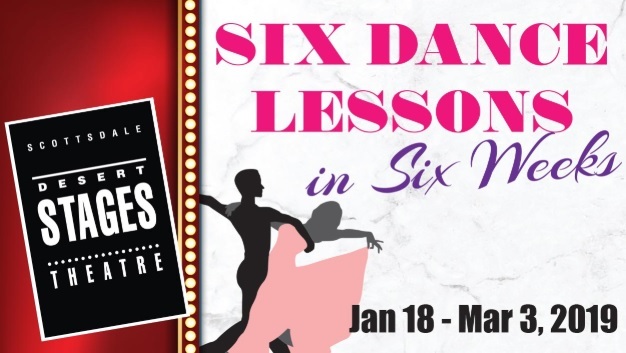 Eighteen years after its Broadway opening, it may be showing a definite creak, but with Bingham Strimple efficiently guiding the action and McBain and Prenger doing the moves, Six Dance Lessons in Six Weeks remains an entertaining if undemanding evening of live theatre.